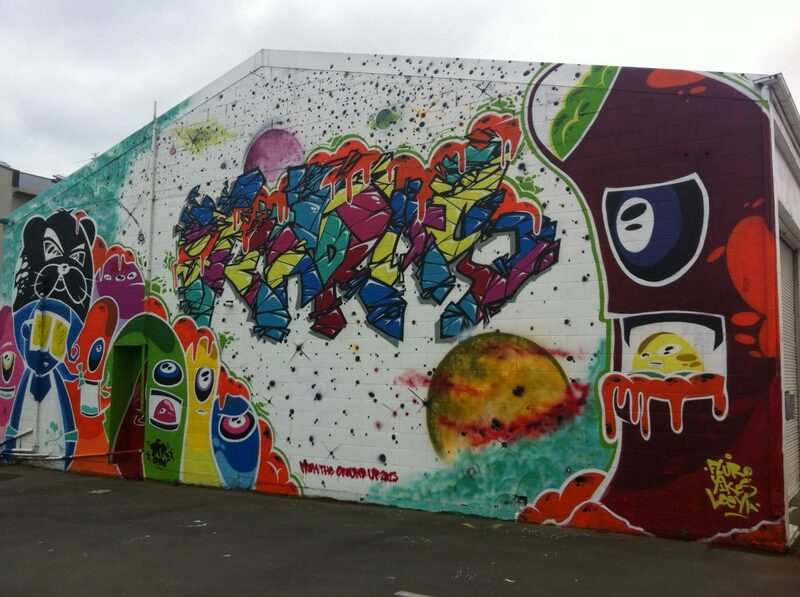 While he laughed my motto off, Ikarus is deserving of his place as a true legend of Christchurch graffiti art. From his early days getting up in the streets, his place in the mighty DTR crew, working as a mentor and tutor for Project Legit, and his involvement in the Rise and Spectrum shows alongside countless independent productions, he has earned respect. 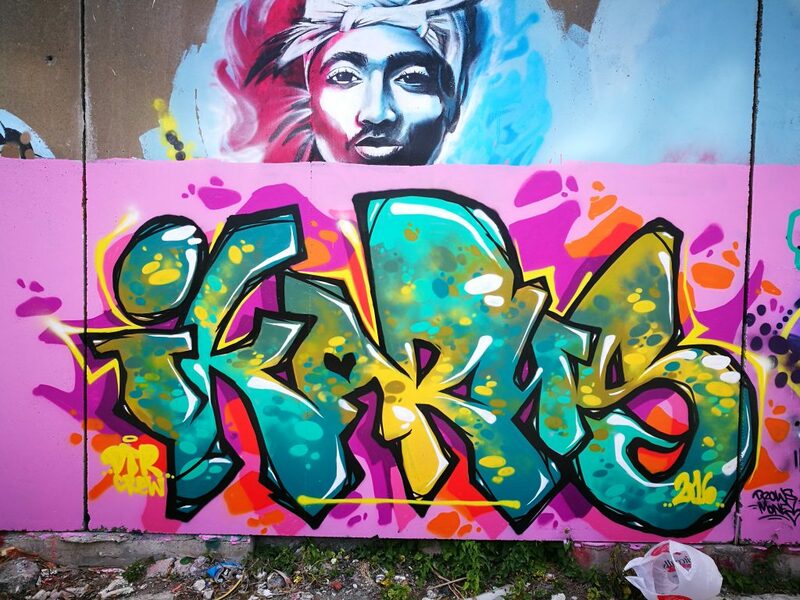 Over the years he has forged strong opinions on graffiti’s traditions and history, as well as the rise of the mural art movement that he finds himself part of, despite never holding such goals as a young graffiti writer, reflections that show a deep understanding of his, and the culture’s roots and potential futures. 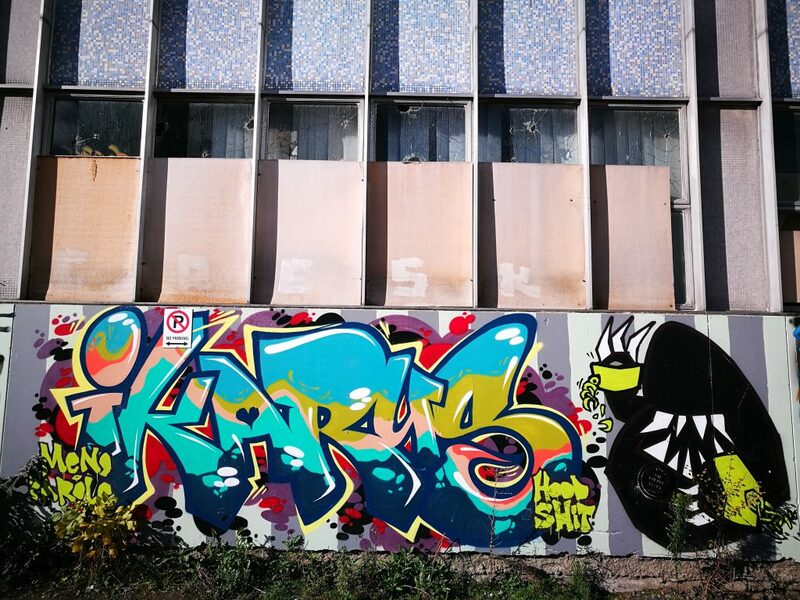 So, Ikarus, you have a couple of busy weekends ahead, this weekend is the opening of the East Frame youth space, where you, Freak and Yikes are painting three of the Oi YOU! 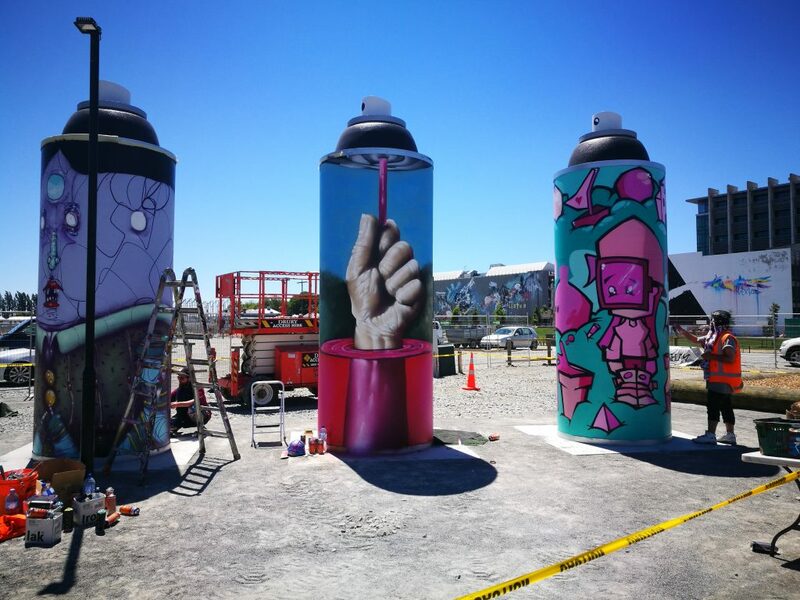 donated spray cans (with other selected artists painting the five other cans), and then next weekend you’re off to Auckland for Berst’s Forum event, which will have you painting, giving an artist talk, and are you part of the event workshop? You’ve been pushing for this kind of concept, as an alternative to kids ending up in other spaces, for quite a while and yet you’ve always met some resistance, so what do you think has made this possible now? Part of it would have a lot to do with the amount of different graffiti art and street art that’s been popping up over the last few years. Public perception towards it has changed a lot than, you know, ten years ago. People see it as a much more positive thing after the earthquakes when the city was really destroyed. A lot of people started to appreciate the splashes of colour and pictures and stuff everywhere. But also, Oi YOU! donating the spots and then GapFiller having done so many different projects over the years, I guess those two names and the results that they’ve shown over the years for projects that they’ve done, I think that probably helped sway the Council towards them giving it a shot. And yeah, like you say, I’ve been trying argue the point for legal walls for a few years now because obviously kids are going to go and practice somewhere and you may as well structure a place where they can do that without fear of getting into trouble, because you know it wastes a lot of tax payer money just to have the Police called and they’ve gotta go down there and chase it up and whether they end up arresting them and charging them, I mean it’s all those things, it’s counter productive and also leads that kid to have a bad attitude about the community, about the Police and you know about the Council and stuff. 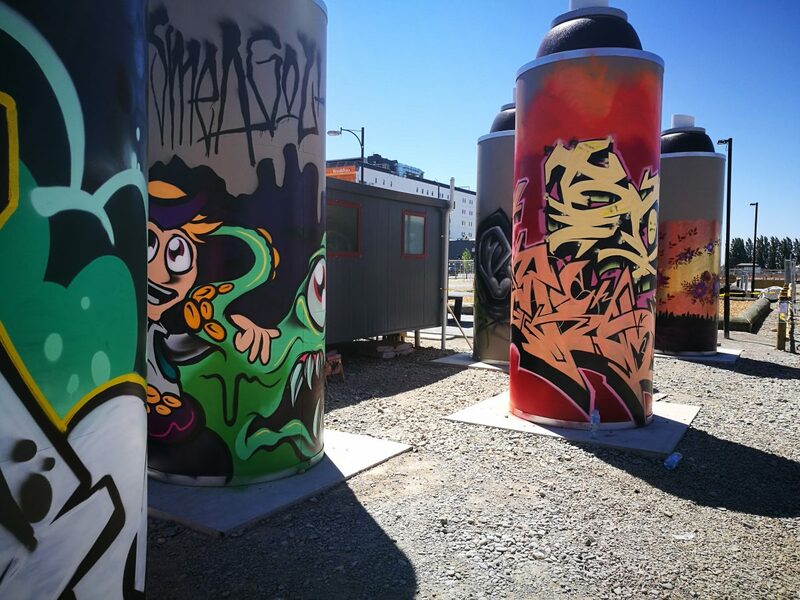 Even symbolically, having eight giant spray cans in the middle of the city is a crazy thing in far as it being a statement on Christchurch’s part that they now view graffiti and street art as forms of art. So now it’s really good to have a spot where kids can actually come and practice and try and hone their talents and turn it into something more positive than it has been in the past. Yeah, one of the things I would always try to explain if I was having this conversation with Council members or just general members of the public that don’t understand the whole art form, is that graffiti and vandalism is going to exist because its so easy. It’s always existed you know, people have written their name on things before spray cans and before graffiti as the culture we know it today was born, people were still writing their names on things. When we were young and there was nowhere for us to paint, the only reason that we got to learn the things we did was because people we knew gave us places to paint. There were a couple of walls you were allowed to paint, like we’d gotten through, not public ones but through owners of buildings and places. So we would have our own spaces to paint, and without that we would’ve, I would’ve just kept on the same path without ever probably evolving into anything else. Yeah, absolutely, a lot of that has to do with the fact that originally and historically graffiti has that stigma attached to it, and oftentimes it is forced into those areas because they are the spaces that the general public aren’t paying attention to, you know like an abandoned building, your train lines, your rooftops in the middle of the night, your alleyways, stuff like that where regular people aren’t going to be as much, so it was sort of a necessary thing. 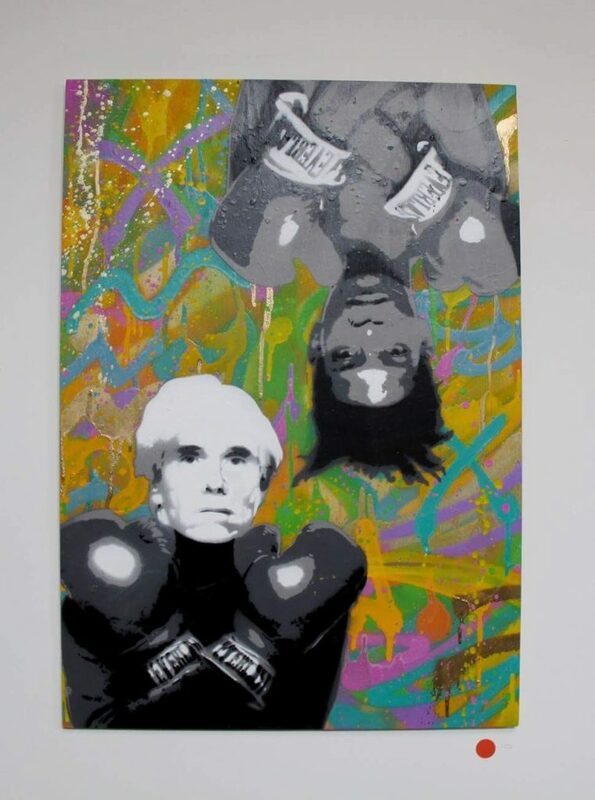 Plus there’s that aspect that graffiti and street art are, or in the past have been, largely youth cultures, and as a teenager you’re always out exploring a city, through skateboarding or graffiti, or whether it’s just through being among friends. Like when I was young, long before we were even thinking about graffiti, we used to climb a lot of rooftops around the city just because it was accessible, and we wanted to see what’s there and you want to be there. Graffiti became that thing where like I will make a small mark so that the next person that comes will know that I was here as well. It has all grown from that. 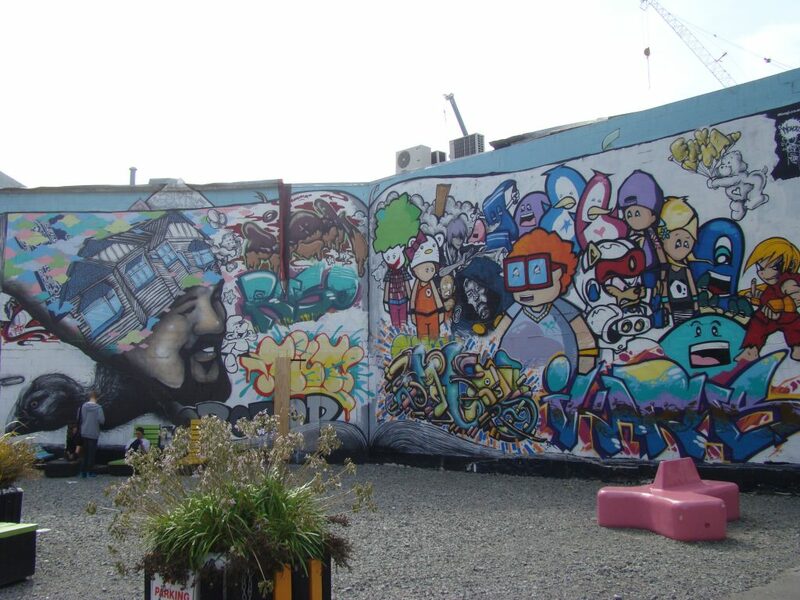 So, the Forum event in Auckland is a good chance to connect with other well-known graffiti artists, which must be pretty exciting. 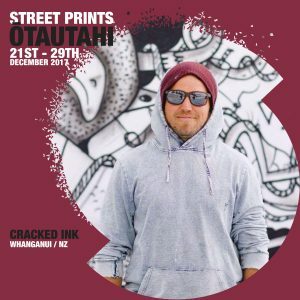 Berst has organised the event and he is a pretty key figure in the New Zealand graffiti scene, what is your relationship with him like? How do you place it within everything that is going on and how have you managed to maintain your roots as you’ve been part of it as well? The bottom line of all of it is, I feel like with this new wave of street art, and this isn’t to bag any particular image or artist or anything, in regards to the large-scale murals, but a portrait of a face, paint a giant bird, you know, paint a nature scene, give them a pukeko and some native fauna or flora, and it’s an easy sell, you know what I mean? It’s easily digestible and palatable to the public. It’s a commodity and it’s able to be commercialised in that respect. While all of those things are great, a lot depends on where an artist has come from and their general stance on various aspects of it. 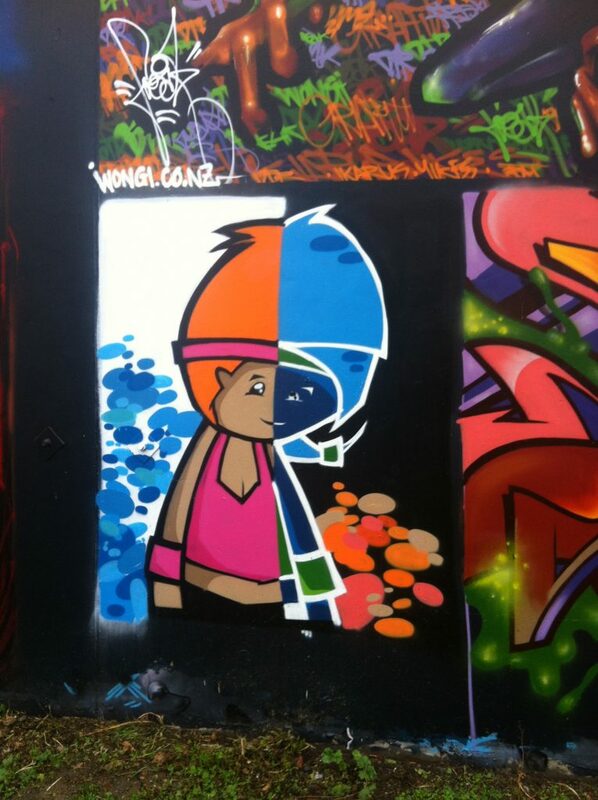 Like you say, traditional graffiti in the way of name-based colourful pieces, cartoon style characters, bright cartoony colour combos, stuff like that, is often, I feel, driven to the wayside in the wake of this new emerging style of street art and street murals and large-scale work. They are all great together, but I personally would hate to see the traditional stuff pushed all the way out of the way for the new stuff. As anybody who has sort of invested in the history of any movement, the new stuff couldn’t exist without the old stuff, and I feel like it has to have some sort of precedence, it has to have some sort of importance. Yeah and that’s it, traditional graffiti in its name-based, character-based cartoony form, is of course derived from tagging and vandalism and destruction of property, so it is always going be tied in with that. Newer street art, like with a bird, or scenery, or a portrait, is very far removed visually from the idea of writing a name. Often as well, the mediums the new artists are using, it’s paint rollers, brush work, there are still cans involved, but it’s not the same thing, and I think that lends to the palatability of the new forms of street art and mural work. Whereas traditional graffiti as an art form is always going be difficult, and so it should be. But they are branches of the same tree, it’s an evolution. Graffiti as an art form is an evolution of a basic signature, it’s all based around a name and around having your name known, manipulating letters, the structure of letterforms, working with different colour palettes to create something unique and visually appealing. But yeah, like I say, the main problem it has as an art form and the main reason it is held back is that vandalism side. Plus, a lot of people that are practitioners, traditional graffiti-style artists are perhaps not the most personable people (laughs). You know they are not always the most eloquent, they don’t always want to explain themselves. We’ve gotten good at it because we’ve spent years at the forefront of it, trying to change people’s perception of it, so there’s sort of like a bunch of go to phrases and references, that I can draw on. In year’s past, From the Ground Up, Rise 2014, and Spectrum 2015-16 street art festivals led by Oi! YOU, Canterbury Museum, and the YMCA were the blockbuster events that put street art on the map and is the “street art capital” that it is today. 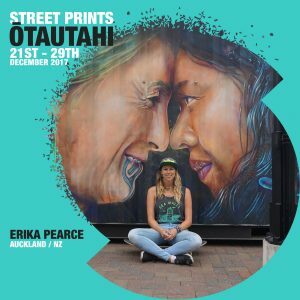 This summer, from 21-29 December, YMCA along with Pushing Art In New Zealand (PAINT) are bringing the people of Christchurch, Street Prints Otautahi (SPO). 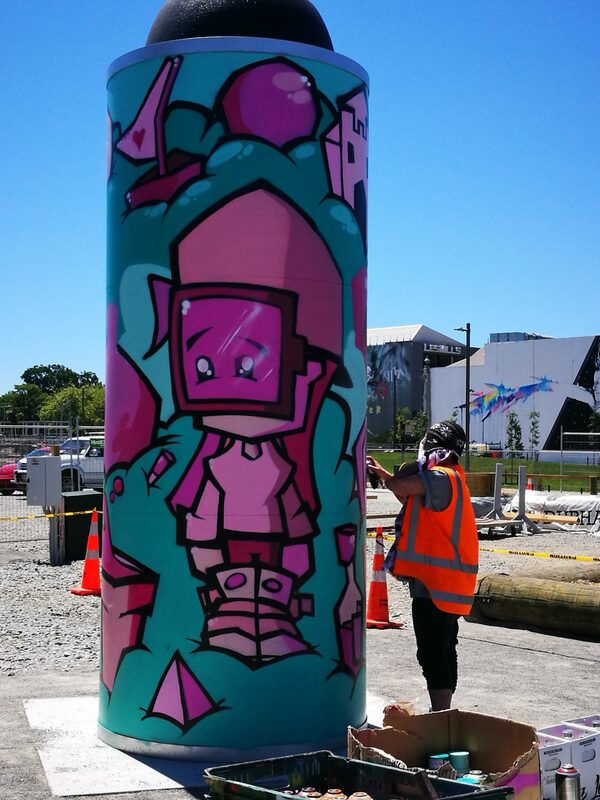 10 large scale murals from New Brighton to Lyttleton, and yes, even the Dance-o-mat, will be painted by New Zealand and international artists. A first in these festivals, this year each artist will have an apprentice helping them throughout the creative process. There will also be hip hop, b boy, parkour, skate, and circus workshops at four of these sites. Keep an eye out on our Instagram and Facebook as we bring you updates about the murals and interviews with some of the artists and apprentices on our blog. 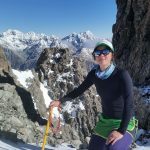 We’d love to hear what you think about our posts. Please don’t hesitate to comment. And of course, send through any photos you take of the murals as they go up here, and we’ll add them to our map. 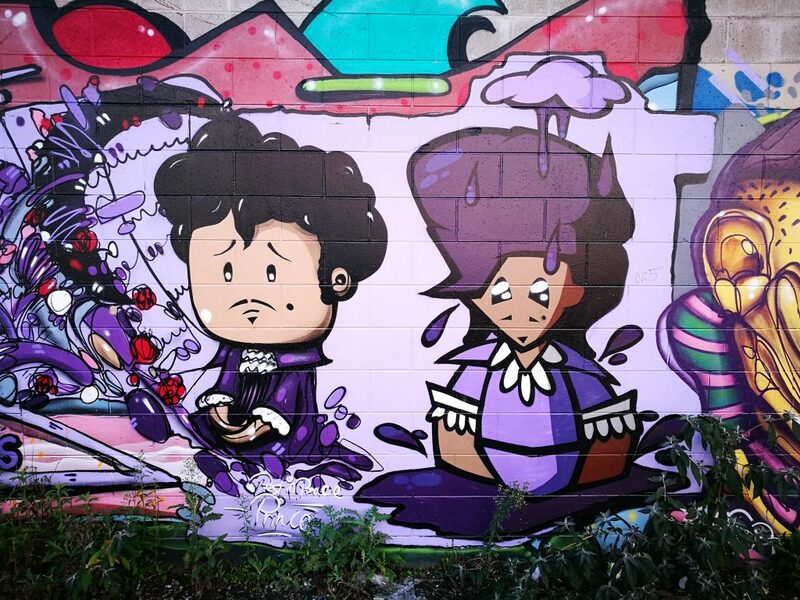 The ten mural locations are already on our interactive map at watchthisspace.org.nz. Just look in the gallery for images that look like this. Saturday, December 2nd, saw the official opening of the new ‘Youth Space’ in the central city’s East Frame. The space, a project facilitated by GapFiller, Ōtakāro and Fletcher Living, combines a basketball court and a rock climbing area, with perhaps the most forward-thinking element: an evolving art space that allows artists to freely paint in public without fear of repercussion. This is a first for the city, a step further than those spaces where painting is tolerated or ignored, but not technically allowed (those peripheral spaces that have long served graffiti and street art’s development, such as alleyways and train tracks). This is an innovative move that has been pushed for a long time by those from the cultures, but has too often fallen on deaf authoritarian ears. 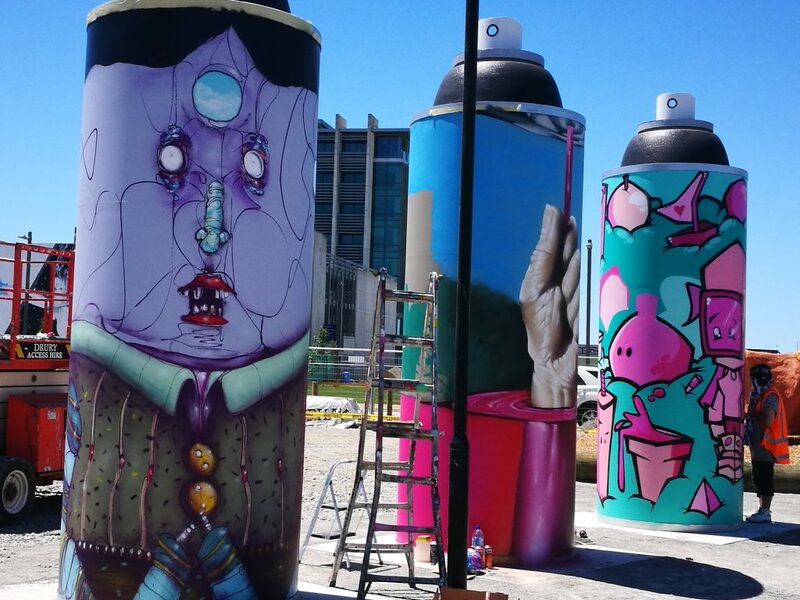 The space contains eight giant spray cans which have become literal objects for art. 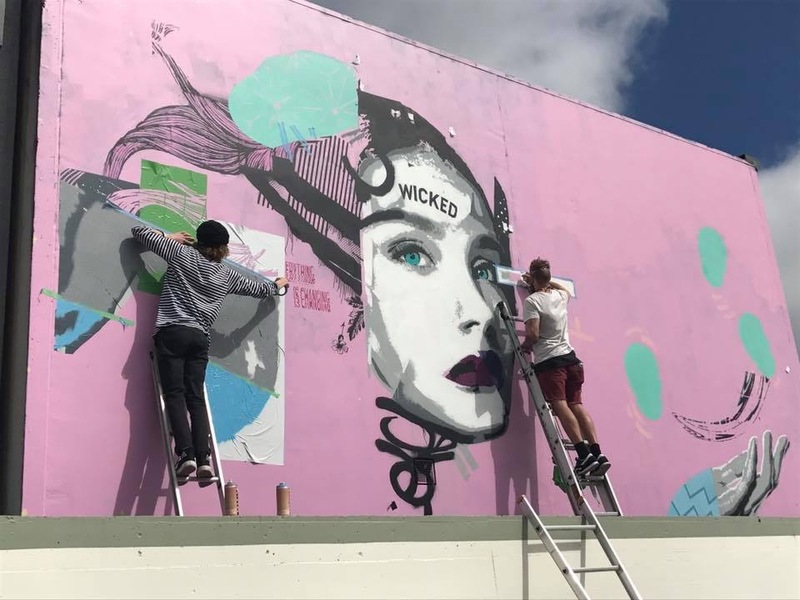 The eight cans are physically split in two groups, with three cans intended for more established artists to produce long term works that will be refreshed sporadically, and five serving as ‘free-for-all’ surfaces, as evolving canvasses. They will operate on a first come, first served basis, and as artist Wongi ‘Freak’ Wilson has noted, people should be prepared to document their work, as any contribution may last a week, a day, or a minute, as is the nature of such a space, and of course, is an undeniable aspect of guerrilla street practices anyway. On the opening day Wilson, Ikarus and Jacob Yikes, from Christchurch’s famed DTR crew, painted the three ‘permanent’ cans, while local artists Beksi, Dove, Bore, Smeagol and Drows were given the opportunity to give the five other cans their first layer. Notably, the surfaces on which people are invited to paint are part of the lineage of the city’s ongoing love affair with urban art: the giant spray cans were fabricated as part of Oi YOU’s Spectrum shows, and if they are aware of history, the city’s youth can now paint on surfaces to which artists such as Jorge Rodriguez-Gerada, Sofles, Berst, Seth Globepainter, Tilt, Flox and many more are historically connected, even if no longer visible. That these objects are in proud place in the inner-city streets is testament to a shifting opinion around the art with which they have an unavoidable kinship. 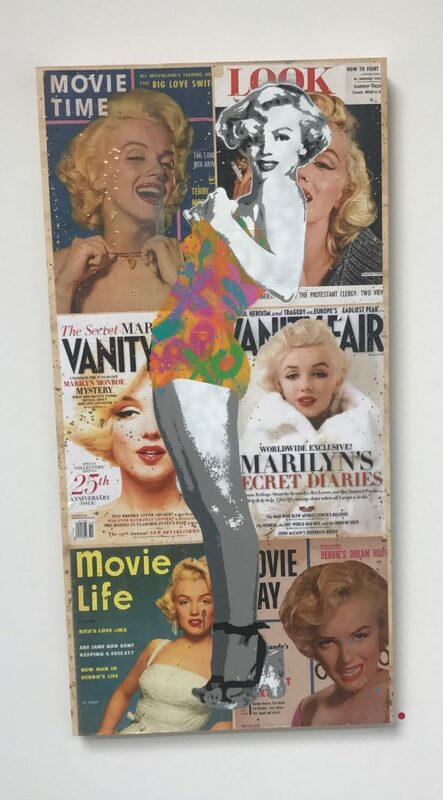 It is also important to note that the cans are not buildings, they are specifically in place as surfaces for art and that is both unique and partly why the concept works; their decoration is not an affront to private ownership, not even by association. Of course, such a concept is not without risk, and it should be admitted, it will not prove a cure-all for vandalism (which is not the explicit goal of the space, but will surely be read as such by some). 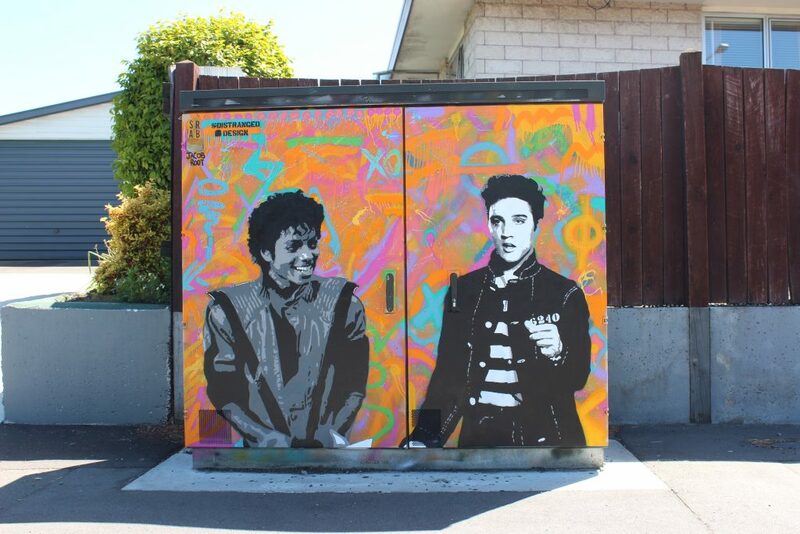 Vandalism, which is not a by-word for graffiti, and exists without a pen or a can of paint, is driven by a desire to fracture physically and symbolically, and a permissioned space will not attract those who are interested purely in transgression. But it will importantly provide an opportunity for artists to develop, to experiment, and to grow and that is no small thing. Indeed, the potential this space provides should be celebrated as a significant shift in thinking around these artistic cultures. Also, it should not be expected to rival the sheer scale and cohesive appearance of the grand murals dotted around the city (and notably nearby). The space will instead produce an aesthetic more akin to urban art’s natural state, a visual quality that many find infinitely fascinating, created in layers over time and representative of thousands of voices, but admittedly, others find harder to comprehend. This is always at the heart of such an undertaking, the various positions and desires of contributing factions will be at odds, a microcosm of the city at large. The future of this innovative approach will of course be in some way determined by outcomes authorities are interested in, regardless of whether such desires are realistic. But with planned workshops and other events, it will become an important and fascinating location for the city’s ever-evolving graffiti and street art cultures, an important step in the city’s creative evolution, potentially unearthing new stars and providing a continuing reminder of the potential found in opportunity.